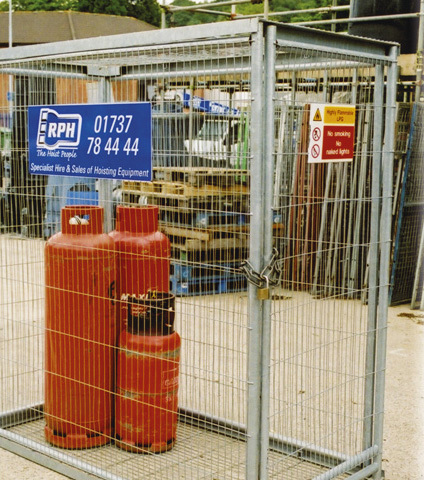 A simple cage enabling the secure stowing of gas bottles on site. Supplied complete with a padlock and chain. Size: Width 1.8m x Height 1.8m x Depth 0.9m.